Win a free breeding to Electric Code! Photos will be posted on Electric Code’s facebook page. 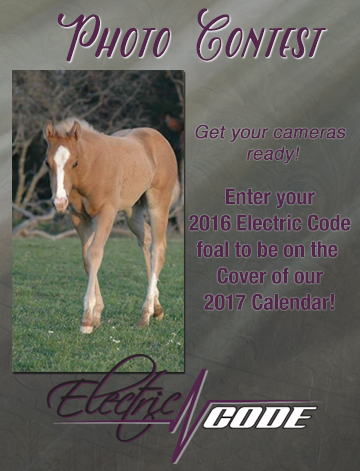 The photo with the most “likes” will grace the calendar cover and the owner will win a free breeding to Electric Code (excluding chute fee).